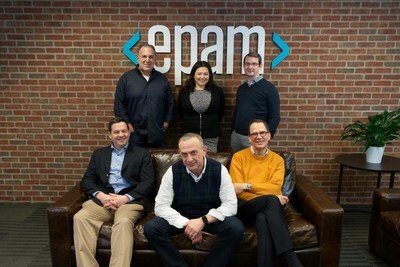 NEWTOWN, Pennsylvania, Feb. 7, 2019 /PRNewswire/ -- EPAM Systems, Inc. (NYSE: EPAM), a leading global provider of digital platform engineering and software development services, today announced that it will be the lead investor for the Global Opportunity Philly Fund (GO Philly Fund), Ben Franklin Technology Partners' new blockchain-enabled regional venture fund focused on seed and early-stage technology companies. Headquartered in Newtown, PA, EPAM employs over 650 consulting and technology professionals in the Greater Pennsylvania region, and its global presence includes over 30,000 employees in over 25 countries, and many Delivery Centers, Innovation Studios and Labs. EPAM is pleased to support Philadelphia's promising start-up community, which offers access to top talent and established networks of incubators and accelerators but remains underserved in venture capital unding.